The traditional bean bag shape is normally made by stitching triangular pieces of material to a rounded base. This gives you a round shaped bag which you can sink into and reshape to your heart’s content. 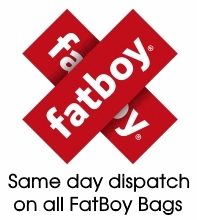 These bags lose their shape when you shape them and can be moulded to the form and shape of your body.